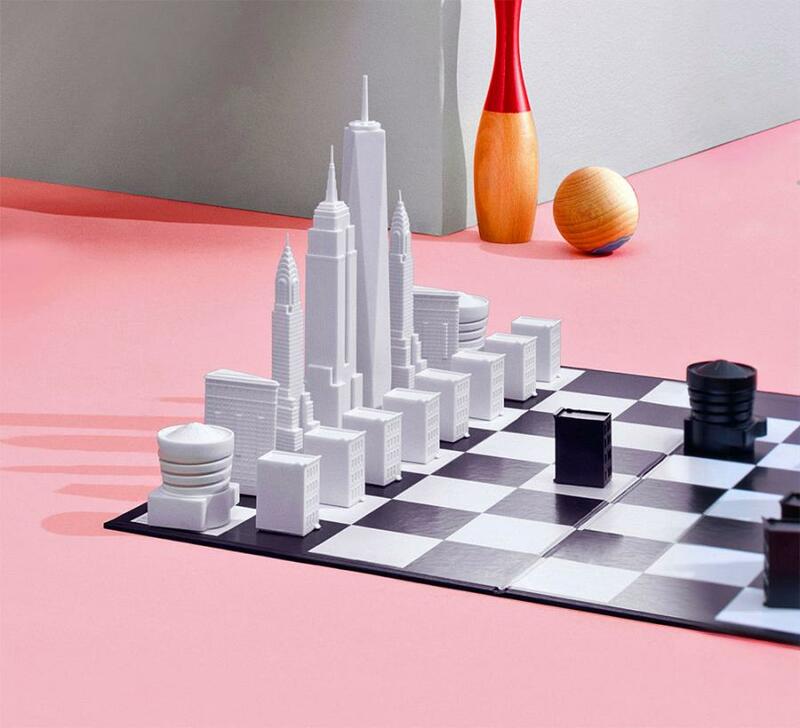 There's nothing quite like a well designed chess board, much like this unique rook tower pack-away chess board. 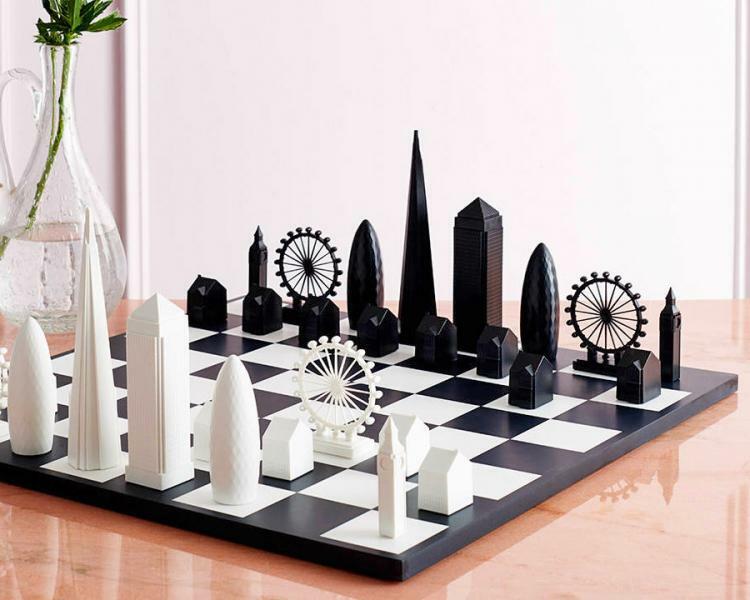 It's quite possible that I like the looks and designs of unique chess boards, rather than actually playing the game. 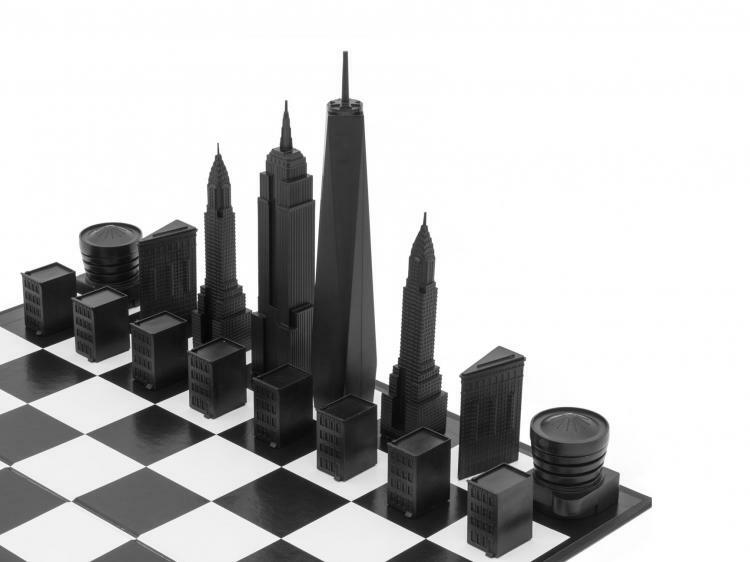 This new chess set uses chess pieces that are made to look like different skyscrapers in New Your City, and once setup creates the New York skyline right on each side of the chess board. 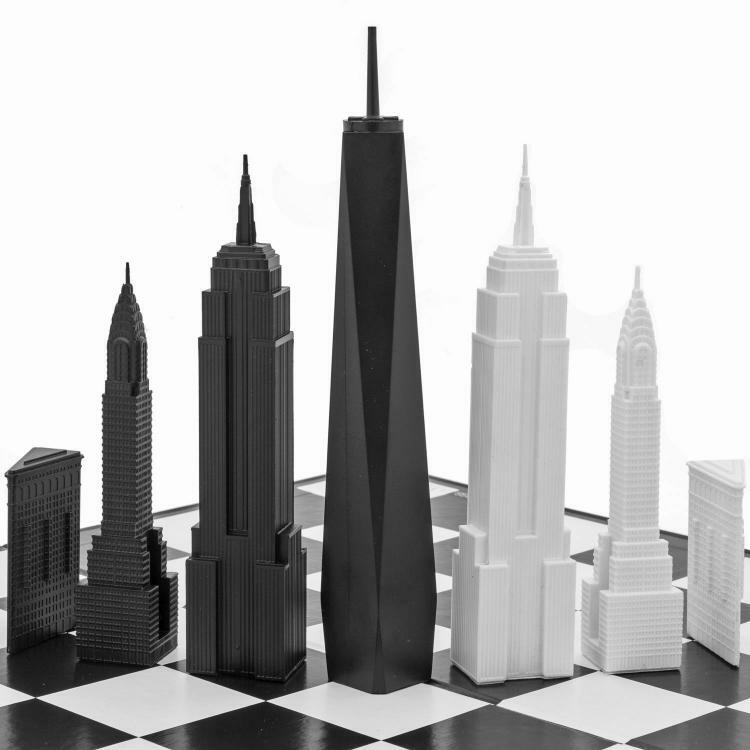 The kings use the freedom tower, which on the board measure 8 inches tall. 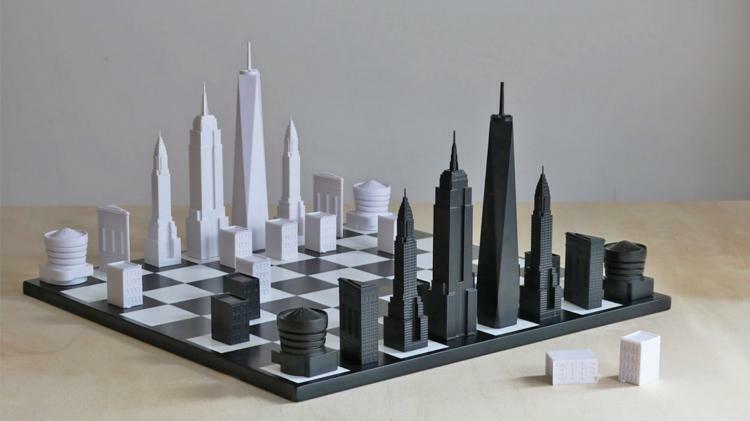 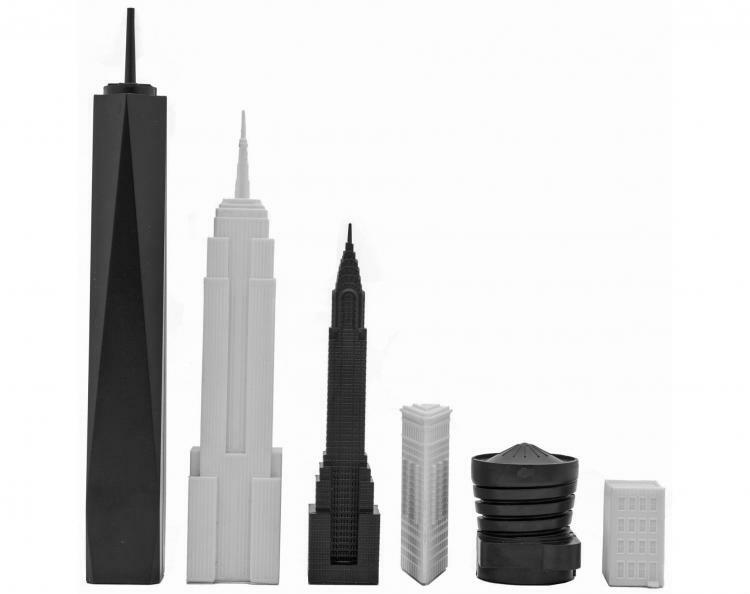 Other pieces include the Empire State Building (Queens), the Chrysler Building (Bishops), the Flatiron Building (knights), the Guggenheim Museum (rooks), and Brownstone Houses (pawns). 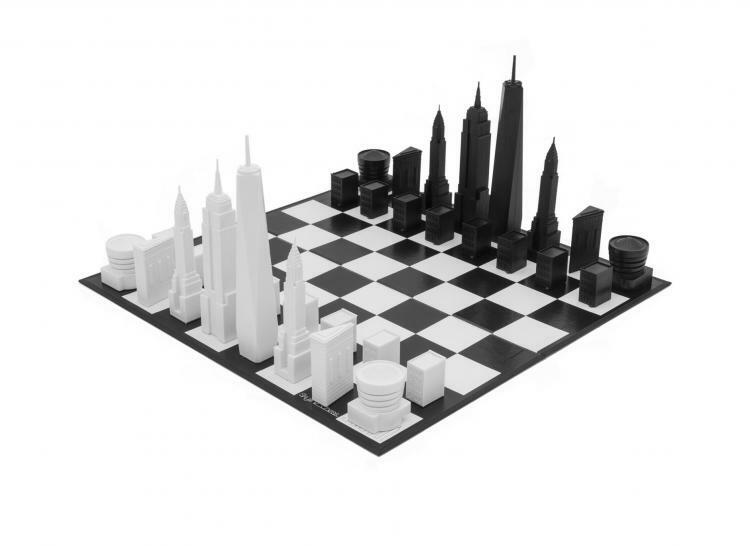 The New York City skyline chess set comes included with a 16 inch x 16 inch folding chess board, 32 pieces shaped like NYC buildings which are cast in injection molded acrylic, and is a perfect gift idea for anyone who loves New York City, loves architecture, or loves or collects unique chess boards. 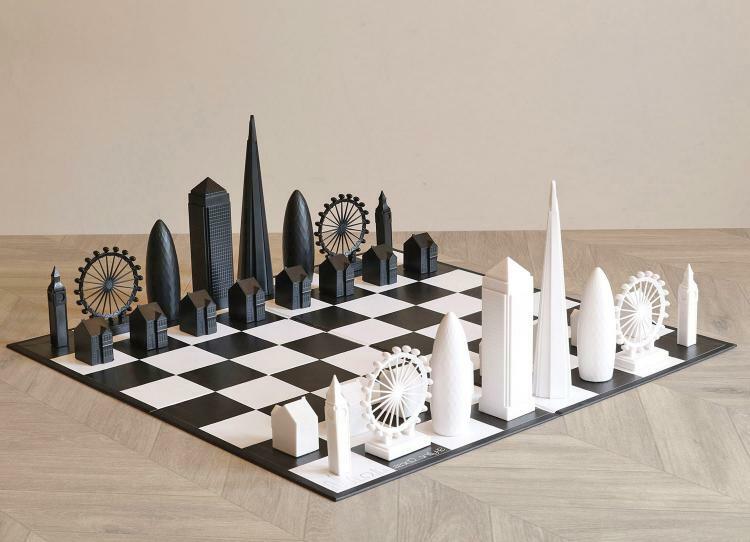 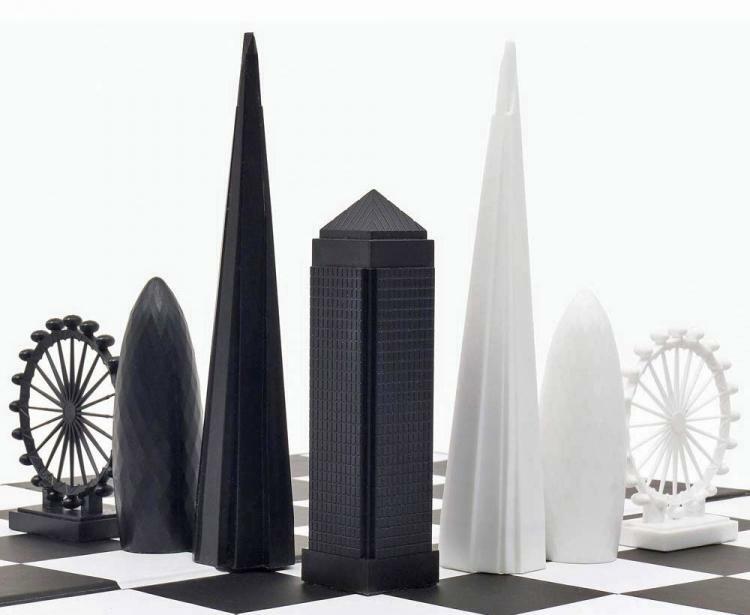 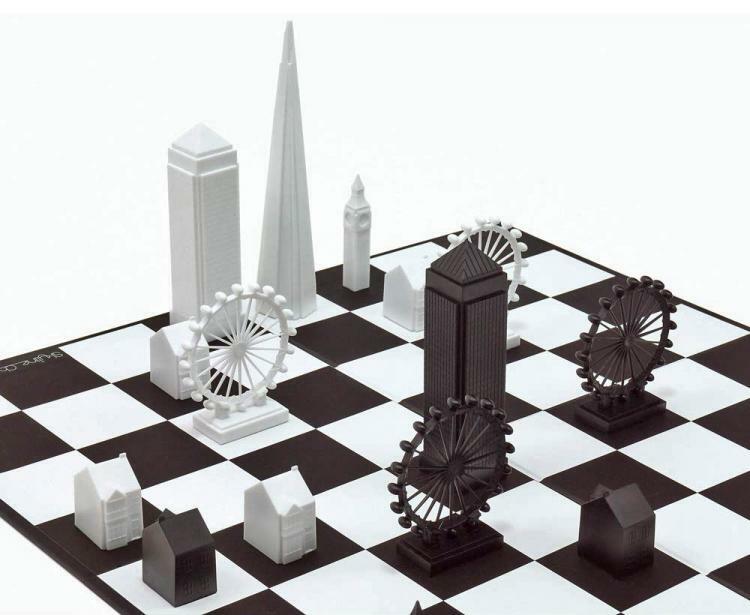 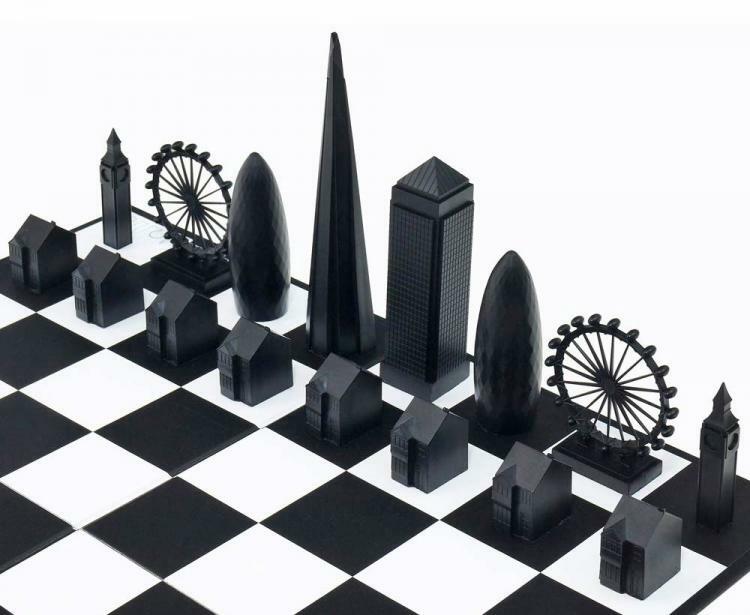 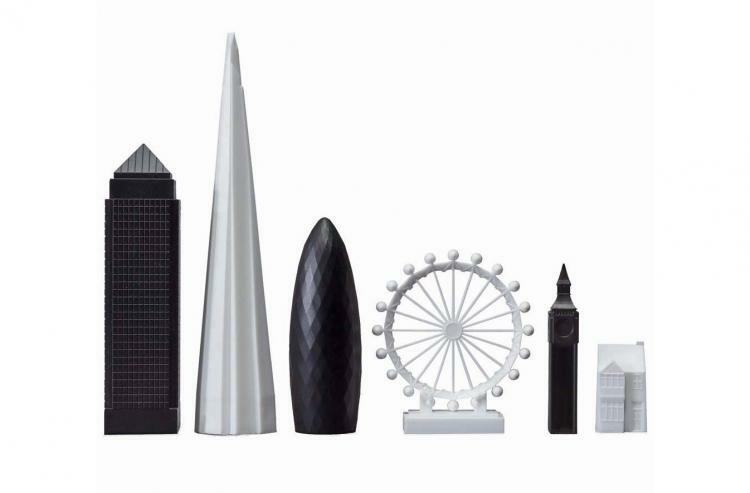 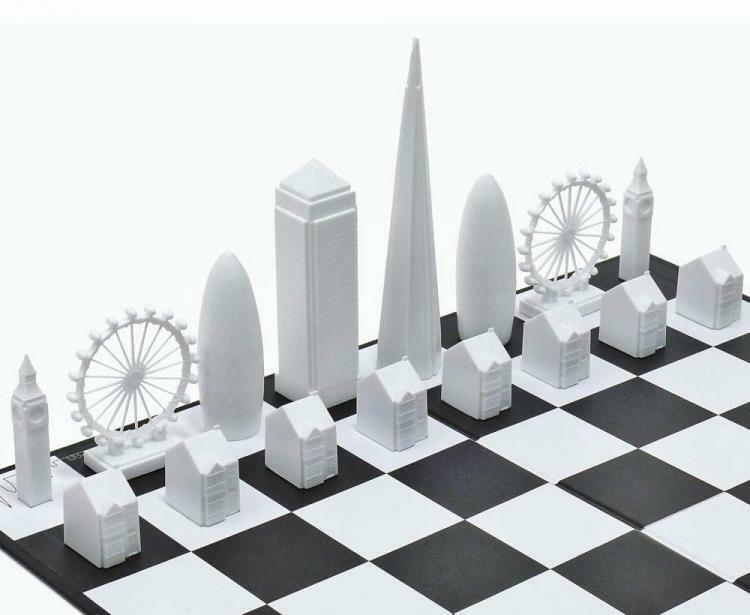 The same company also makes a chess board with pieces shaped like the London skyline, with building including the Canary Wharf (kings), the Shard building (queens), the London Eye (knights), Big Ben (rooks), and a row of terraced houses (pawns). 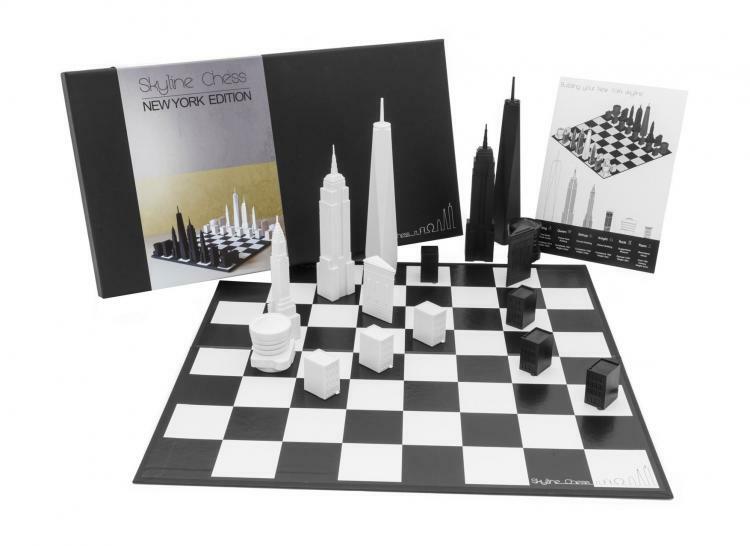 Each city skyline chess set comes with a handy presentation box that doubles as the storage box for the chess set, they're made in classic black and white color schemes, and when packed away in the box it measures 17 inches long x 9.25 inches wide x 2 inches thick. 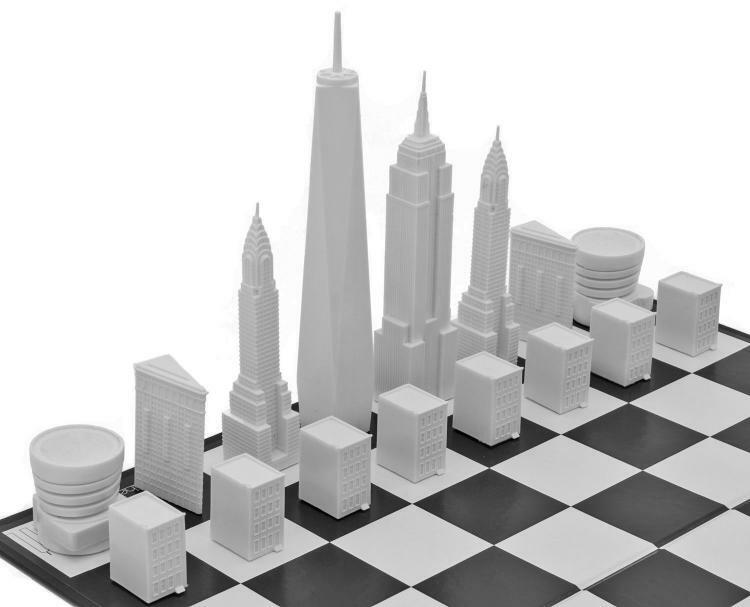 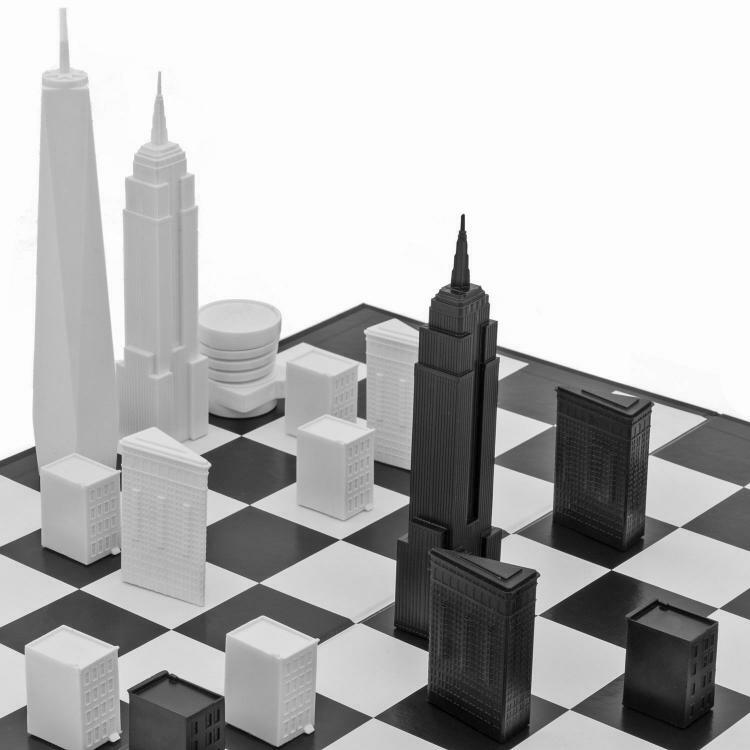 Check out the New York City skyline chess board in action via the video below.